"The intuition of straight lines and angles, in their playful interaction become functional design that define the aesthetic and practical elements of the product. Baumatic appliances, striking masterpieces in every environment, yet subtle in design, are designed by people for people." From comfortable to extreme, it is always fashion we are dealing with. this is true in the automotive world, in the clothing industry and, of course, in the appliance zone. there is however a big difference between the free-standing scene and the built-in one. The latter needs to fit and shine in the furniture of the kitchen, and we all know how fashionable kitchen furniture has to be. To be at ease with your surroundings, to be surprised by your kitchen every time you enter it is the reason why the design teams work so hard in setting new levels of pleasure for the eye. The beautiful and sometimes courageous lines must accommodate the parts that work and the finished product must be reliable, user friendly and stunning. that is perhaps why the best retailers in so many parts of the world, from Europe to Australia, from the Middle East to the far away Asia, recommend Baumatic. Enzo Balestrazzi was born in a charming place on the shores of the Mediterranean Sea where even the simple fishermen’s houses had their own mark of individuality: subtle colours –often left overs of the paint used on their boats- and the “trompe d’oeil” details drawn on the facades, made each one of them unique. This simple yet original form of art stayed imprinted in his memory and became the guiding spirit of his work for years to come. The newly born industry of built-in appliances appeared on the scene. Most of these household items looked ugly, uninspiring and the few better-looking ones always came with a stiff price tag. The task was clear: make them appealing and make them affordable! So it started, from a little the cottage in rural England and with a manufacturing partner in Italy. Initial mistakes coupled with mediocre results and a lukewarm reception from the industry made the challenge hard. But perseverance paid off, and in spite of the recession in the early nineties, growth came fast and furious. Happiness drove creativity which drove more growth. Our sales took a leap and the domestic market in the UK accepted us with enthusiasm. The formula was right and good enough to be exported. We first landed in New Zealand. Enzo met Mark Jones, the founder of Applico Ltd, in the mid-nineties at an exhibition in Cologne, Germany. A handshake bonded them in business and friendship. Mutual growth for two early coming business's in the built-in scene came from there over the years and their friendship stood the test of time and it is still strong and vibrant to this day. New Zealand took us inevitably to Australia where Baumatic was destined to occupy a prime position in the building & retail arena. For a numbers of years Baumatic became one of the official sponsors of Miss Czech Republic, an event followed on national TV by millions of people and used as a marketing spur around the globe. Tramways around the cities were “dressed” in the Baumatic red & black colours and our ovens and the faces of our models were parading the streets. Beautiful design, vibrant colours and stunning lines found each other walking side by side emphasizing this original fusion of Art, dance & passion. 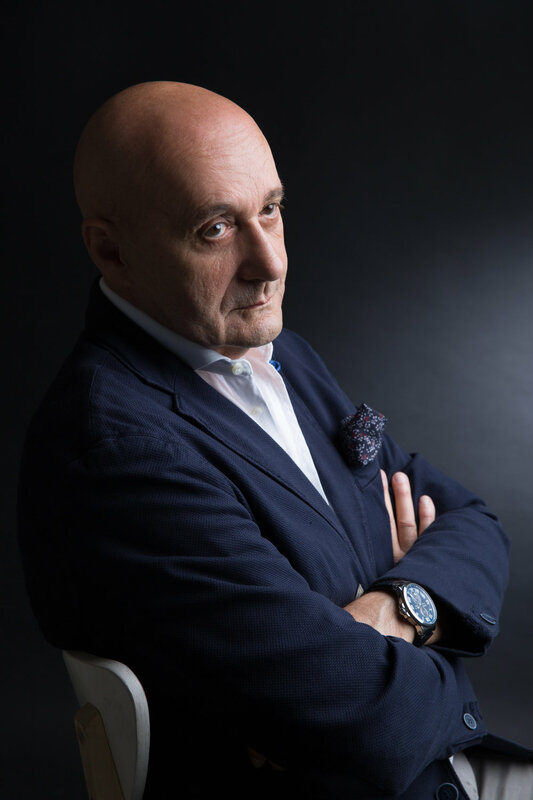 Such initial new export markets continued to multiply and by the turn of the new millennium, the brand was begining to be well established and regarded as a major player throughout markets in central & eastern Europe. At this stage, due to its increasing scale of business, the brand decided to begin a substantial investment into mainstream marketing. Its first national TV commercial was filmed in the famous Prague Barandov studios that aired at prime time on national Czech television and ITV in the U.K.
Back in the UK, Baumatic achieved further celebrity exposure with one street window in Harrods, Knightsbridge and a showroom on the 5th floor, dedicated to large household appliances. Baumatic was a constant presence in various exhibitions, both for the trade and also for the public, like the renown Ideal Home, where our stands always welcomed hundreds of visitors. It was the time of the launch of colour ovens, quickly picked up by the fashionable glossy magazines and hunted by film stars and footballers across the Country. It became the new "must have" fashionable accessory for the rich and famous. Continuing its sponsoring spree, Baumatic became the main partner of the Italian National Team of Chefs which traveled the world for cooking shows and competitions, helping to take the brand around the Globe. Baumatic's flagship showroom in Hong Kong was inaugurated with the presence of the Italian national chefs team and local TV stations. This was the time of the TANGO range of products: colour, passion and an almost transgressive look made them the stars of the Shanghai fair, where Baumatic paired for the first time the rigorous business atmosphere of an Exhibition with the seductive Argentinian music. The cooperation with the Architect Alberto Solari had come to its important phase with the launch of the OMBRA collection. A real feast of design and innovation. A new trend to follow for the Industry. 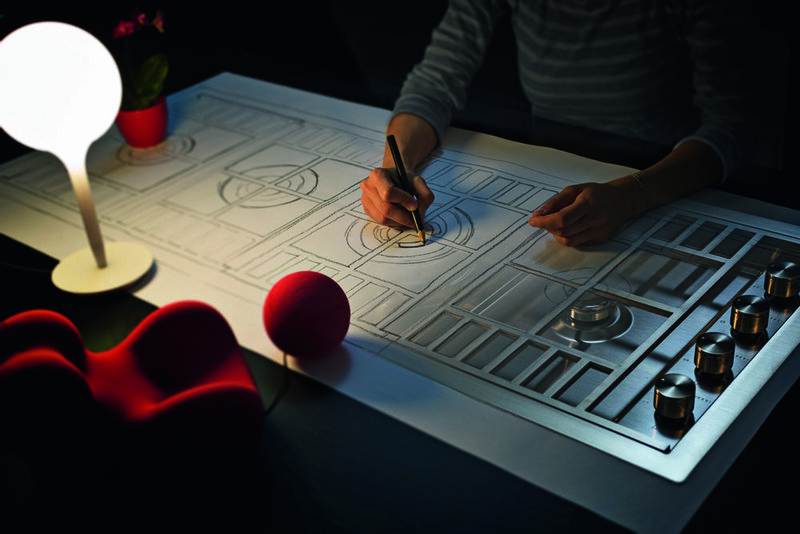 The Studio Solari mark became the icon for the domestic appliance markets. The styles got gradually more daring, Alberto Solari introduced new materials in the manufacturing process, added the now recognised minimalist look with its expert management of space and function. A new era. A new first. London discovered the abandoned area of the old Docks by the Thames : a frenzy of redevelopments got in motion with stunning, trendy apartments being converted from old derelict depots and warehouses. Butler's Wharf being one of the more iconic projects that Baumatic took part of in the area. 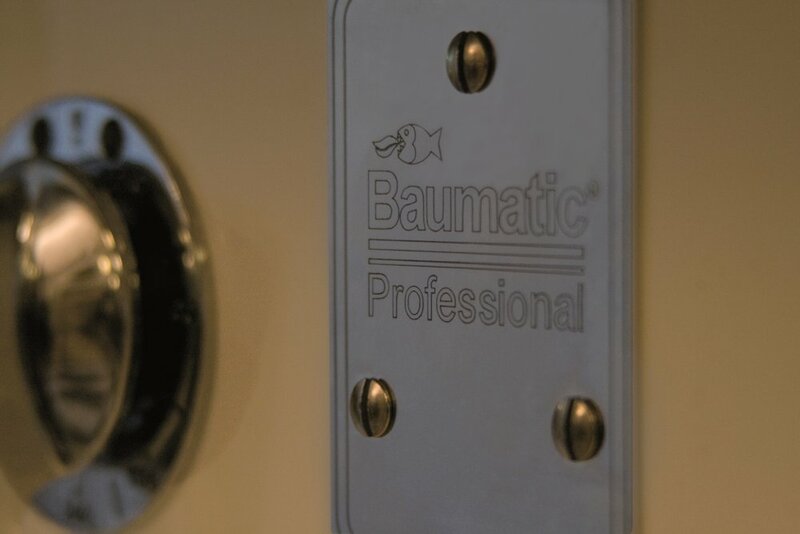 By staying true to its roots, good design at affordable prices, Baumatic had a newfound success in the developers scene as it provided builders with an extra edge to sell their properties. The brand took part in projects such as Inmark Tower, Sydney, The Apex, Ealing, Opus and Lohas Park in Hong Kong, Galaxy Hotel & Casino in Macao. Eventually pushing into mainland China with the Gubei Royal Palace in Shanghai & La Grande Ville in Beijing, to name just a few. It was during this period of the brands expansion in Asia, that a manufacturing base was set up near the booming city of Shenzhen, developing the first European designed and engineered, Chinese made, built in ovens and gas hobs. Another first for Baumatic, and a new manufacturing trend for its industry. Baumatic Middle East General Trading LLC.